ROV SuBastian returns to R/V Falkor after a successful dive during sea trials off the coast of Guam. 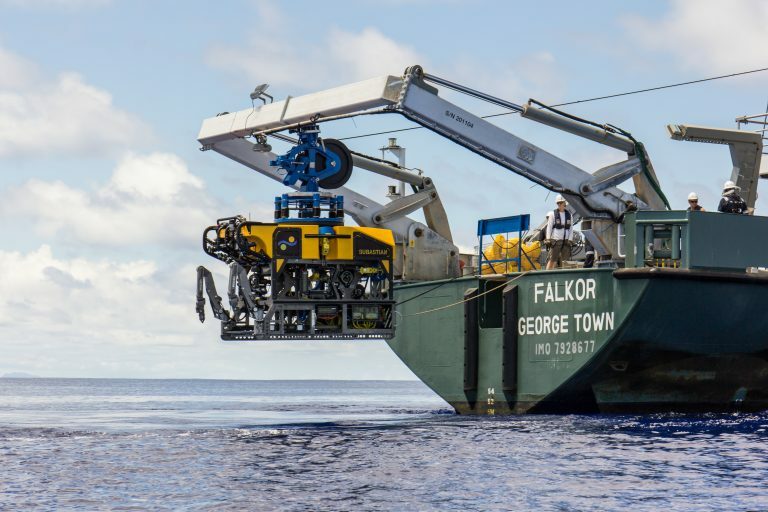 APRA HARBOR, GUAM – After a month of completing rigorous tests in the open ocean off the island of Guam in the western Pacific, the new Remotely Operated Vehicle (ROV) SuBastian is returning to shore. Schmidt Ocean Institute (SOI) has been working this summer, testing and integrating its new ROV from aboard its 272 foot oceanographic research vessel Falkor. 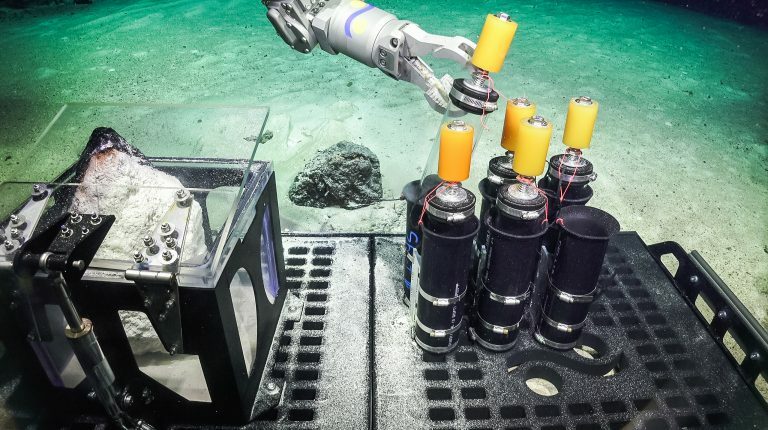 The 25-day testing placed ROV SuBastian in real-world conditions, demonstrating its functionality as a modern research tool with innovative systems. The ROV tests and trials included 22 dives and more than 100 hours underwater. Now that the vehicle has been tested, the team is working on making tweaks and improvements so that SuBastian is ready for its first research cruise later this year, visiting the Mariana Back-Arc in Guam. The 4K high-resolution video footage collected with SuBastian will be openly shared with scientists and interested public around the world. 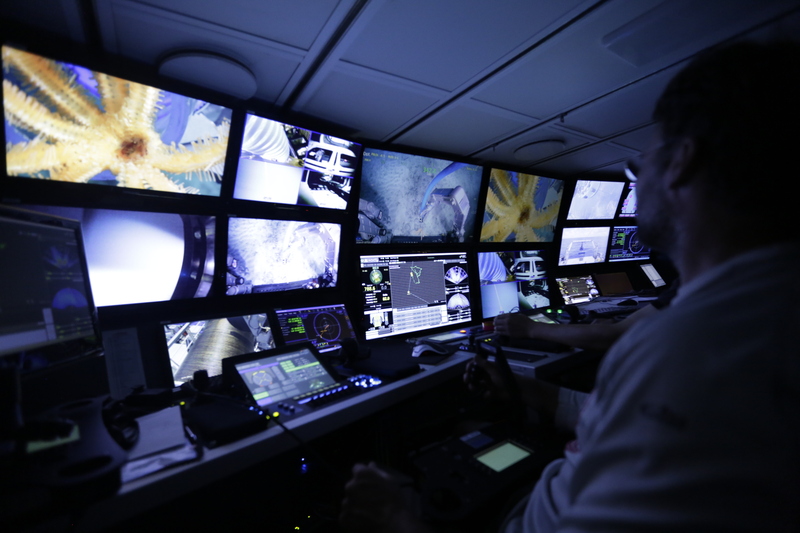 Pilots, engineers, and crew monitor SuBastian in the control room aboard R/V Falkor via the ROV’s camera and video system. The ROV is connected to an umbilical tether that powers and transfers data for live video telepresence operations, resulting in SuBastian’s ability to potentially stay submerged and explore for multiple days at a time. This is the first submersible vehicle that SOI, founded by Eric and Wendy Schmidt, has designed and built. ROV SuBastian was built to meet the needs of scientists aboard Falkor, while considering the well-being of the entire marine environment. 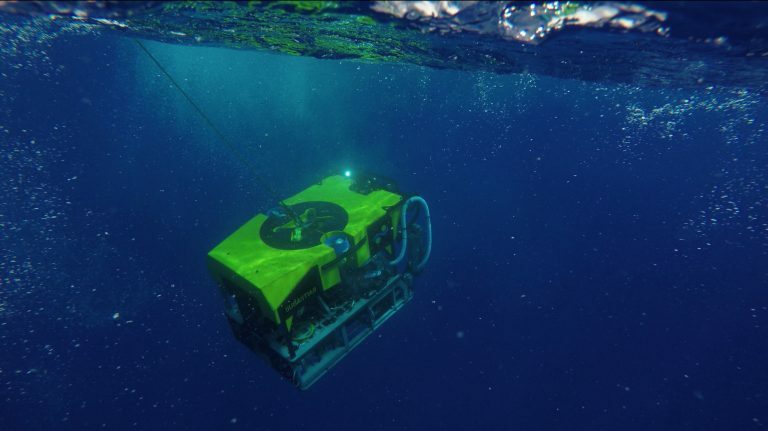 The ROV is designed to go to depths of 4,500 meters (2.8 miles), and will be suitable to support high resolution seafloor mapping, photomosaicing, video and image gathering, and collections of rocks, animals, and seawater samples. SuBastain is equipped with a versatile array of power and data interfaces to enable integration of a wide range of add-on deep sea instruments and samplers that oceanographers may need to support their deep sea research. Researchers collect core samples with ROV SuBastian’s manipulator arms. Schmidt Ocean Institute provides collaborating researchers and scientist’s free access to research vessel Falkor, as well as expert technical support in exchange for a commitment to openly share and communicate the outcomes of research, including the raw observations and data. With many ROV research cruises foreseen through at least 2018, there certainly will be lots to learn with SuBastian. More about the build of SuBastian and footage from the sea trails can be viewed here. High resolution images and Broll can be found here.